A Christmas Message – It’s All About Jesus | Experiencing God's Love Through His Creation! Once again Christmas time is here. Lights are up, throughout the world Christians from all denominations are out and about buying gifts, church members are caroling and preparation is underway for both children and adults to open their gifts on Christmas morning. Even many non-believers love the Christmas holiday and get into the festivities. Food and drink will be served and for many the day will be filled with love and cheer. During the Christmas season local business will generate a large part of their income which will carry them for a good part of the year. For many, this IS a very special time of the year. But many still don’t understand Christmas and to them it’s just another day to get by or may be frustrated because they can’t get to the stores which are closed. There’s no excitement to celebrate Christmas. Some have suffered loss during this time of year and now relate the holiday season with sadness or something they regret happened, unable to move on. It’s simple, Christmas is all about Jesus! The baby who was born approximately 2000 years ago in Bethlehem to Mary, a virgin and Joseph, a just man from the lineage of David. The eternal gift from God who portrays the humility and love of God. Born in a manger amongst the animals, hay and humble surroundings, He, is the common bond that touches hearts. Not born in a palace but a manger. To think that the God of all creation would humble Himself in this manner is at first hard to comprehend but when understood and accepted changes lives. At birth, Jesus, would be visited by shepherds after angels appeared to them and told them a Savior was born in the town of Bethlehem. The long awaited messiah who would save His people from their sins. Wise men, directed by a star, would come from miles to present Him gifts, gold, frankincense and myrrh, normally gifts for a king. Could this be the promised one, predicted by the prophet Isaiah, who prophesized that the Messiah would be born to a virgin in a stable? The one who would be bruised for our iniquities and the punishment for our sin would be laid upon Him. Yes indeed! Through the life of Jesus, God would display His love, humility and grace so that we could relate to Him for we are all made in His image. All we have to do is accept that this humble baby had a mission to die on a cross for the sins of man but three days later be raised from the grave to show His power over death. For those who have done so, it’s clear, He is the gift of Christmas and His presence in our lives makes all the difference. So don’t allow fear or your past keep you from the true present and hope of Christmas. 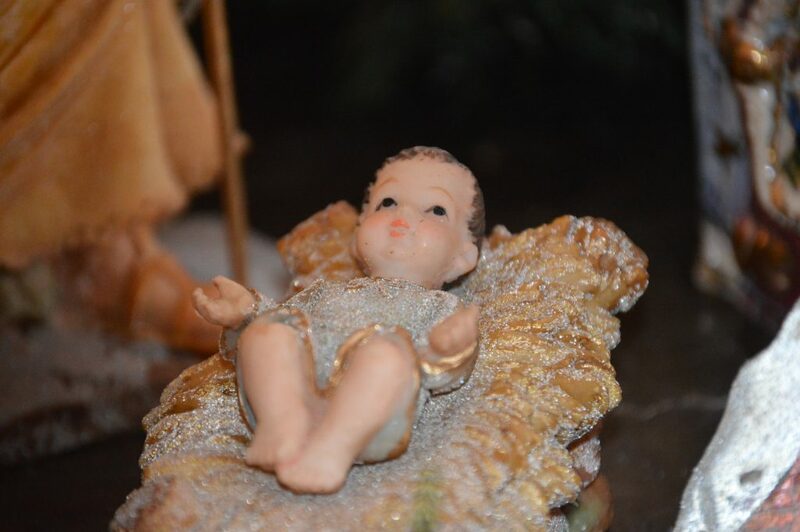 Look into the manger and the eyes of the one who will change your life as you realize what He came to do for you. For in doing so, you truly will have a very Merry Christmas! God Bless! !